Weather forecasters correctly predicted two months ago the extreme cold weather now hitting the US. CC-licensed photo by Coast Guard News on Flickr. A selection of 13 links for you. Redone? I’m @charlesarthur on Twitter. Observations and links welcome. “What happens in the Arctic does not stay in the Arctic,” warned the meteorologist Andrew Freedman at the time. “Sudden stratospheric warming events are known to affect the weather in the US and Europe on a time delay.” The next 60 days would probably be colder than average, he said. The “why” isn’t answered in this article, but is in the linked Science article. You guessed: better computers running more precise models. Down to -40C in the US from the polar vortex – which, yes, is attributable to global warming. As this chart demonstrates, top StarCraft players can issue instructions to their units very quickly. Grzegorz “MaNa” Komincz averaged 390 actions per minute (more than six actions per second!) over the course of his games against AlphaStar. But of course, a computer program can easily issue thousands of actions per minute, allowing it to exert a level of control over its units that no human player could match. 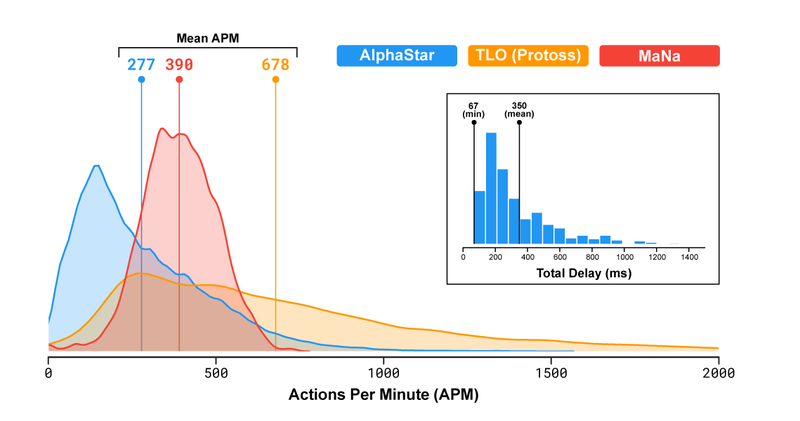 To avoid that, DeepMind says it put a hard cap on the number of actions per minute AlphaStar could make. “We set a maximum of 600 APMs over 5-second periods, 400 over 15-second periods, 320 over 30-second periods, and 300 over 60-second period,” wrote DeepMind researcher Oriol Vinyals in a reddit AMA following the demonstration. More importantly, AlphaStar has the ability to make its clicks with surgical precision using an API, whereas human players are constrained by the mechanical limits of computer mice. And if you watch a pro like Komincz play, you’ll see that the number of raw actions often far exceeds the number of meaningful actions. For example, if a human player is guiding a single unit on an important mission, he will often issue a series of “move” commands along the unit’s current trajectory. Each command barely changes the unit’s path, but, if the human player has already selected the unit, it takes hardly any time to click more than once. 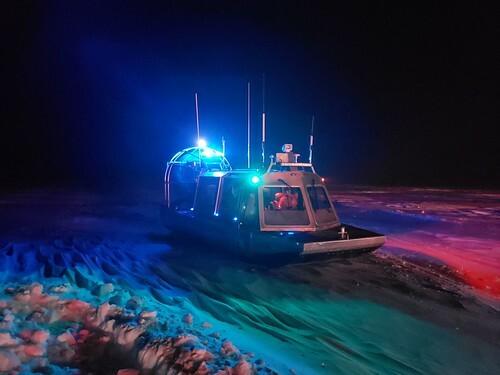 But most of these commands aren’t strictly necessary; an AI like AlphaStar could easily figure out the unit’s optimal route and then issue a much smaller number of move commands to achieve the same result. So limiting the raw number of actions an AI can take to that of a typical human does not necessarily mean that the number of meaningful actions will be remotely comparable. Notice the way this assertion slides past the realities here. Computers are going to be better at doing lots of things really fast; the human advantage is meant to be the capability to think strategically about what things to do. That strategic advantage has been ceded to AlphaStar, and so people complain about its speed. How long before these systems are running defence computers, determining and carrying out attack plans? Worth a read just so you can get a feel for how statistics are used against you. the paradox of an audio-only interface is that it looks like a much more flexible and free-form interface than a graphical interface, but in fact it has no way to tell you what it can do. If it has 5,000 ‘skills’, you can’t ask it to recite them, one by one. Solving this discoverability problem is one reason both Amazon and Google are exploring devices with small screens (through that doesn’t help the devices that are already out there). Taking a step back, though, I think there is a deeper strategic value to Alexa – option value. One of the fundamental shifts that came with mobile was that the users’ device became a lot less neutral. On the desktop, there were pretty narrow limits to what a web browser could do to control the economic models and interaction models of websites, but on a smartphone, the management of everything from system permissions to default apps to notifications and interaction models (not to mention in-app purchase) means that Apple and Android are in much more direct control of what business models are possible. Ironically, a major reason why Google bought and built Android in the first place was fear of what Microsoft and Nokia might do with such power. Now both Amazon is faced with this. The end point has become much more strategic for web platform companies. So, anything you can do to get an end-point of your own has value for the future, even if no-one today uses it to buy soap powder. …The laser-powered 3-D camera could debut first on an upgrade to the iPad Pro currently planned for as early as spring 2020, according to one of the people. Apple isn’t expected to release a major iPad Pro update this year like it did in 2018. …Apple is also testing some versions of this year’s iPhone line that includes a USB-C connector instead of the Lightning port that has been used on iPhones since 2012, indicating that the company plans an eventual switch, according to one of the people. Moving to USB-C would make the new models compatible with chargers used for hundreds of other devices, like Android phones. …Apple’s next operating system update, iOS 13, will include a dark mode option for easier nighttime viewing and improvements to CarPlay, the company’s in-vehicle software. There will also be iPad-specific upgrades like a new home screen, the ability to tab through multiple versions of a single app like pages in a web browser, and improvements to file management. “Improvements to file management”, huh? Sounds like the USB-C port is going to come in useful. But 3D cameras? Hm. Just astonishing. Facebook truly is the scorpion on the back of the frog; it just can’t help itself. In some cases, the Google block means apps won’t work at all, like Lyft and Uber [which use it for maps], or Spotify, whose music is hosted in Google Cloud. The more frequent effect of the Google block though is that the internet itself slows down dramatically for me. As I sit staring at my screen and drumming my fingers, I get flashbacks to computing via dial-up in the ’90s, when I used to read a book while waiting for websites to open. It’s amazing to see how often sites are trying to serve trackers, ads, and analytics from Google before their own content. Clever idea for a story. Facebook next? 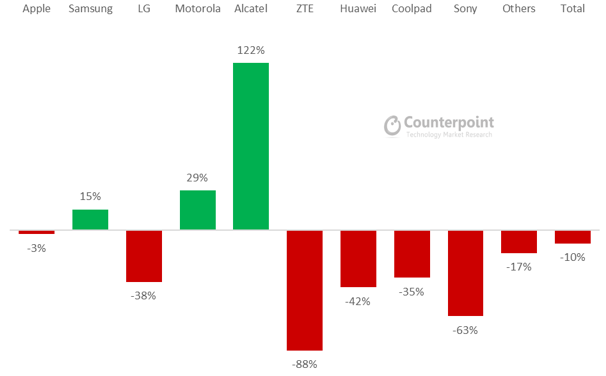 Then again, Apple had 47% of the market there, according to Counterpoint. Samsung was next with 23%. The biggest grower? You probably won’t guess. none of the users I talked to had presented any of their sleep or activity data to their doctors or other health professionals. Despite their intrigue, the weekly heart rate variance or the share of REM of last night’s sleep are still arbitrary numbers with little actionability from a scientific perspective. What does a readiness level of 73 actually mean and how does it differ from 52? Are these just vanity metrics or is there a way for the doctor to somehow contextualize them? …Health data is the last frontier that lacks democratization, and the push for wearables is a result of that impatience. The data and the consumer-grade devices presenting it might be far from reliable, but they are the first wave towards a more open health data ecosystem and needs to be taken seriously. The responsibility to interpret the readiness levels and sleep data doesn’t lie with the individual, but with the doctors and every other actor in the ecosystem. Apparently it’s not going to be a factory, and rather than having 5,200 people by the end of 2020 that’ll probably be more like 1,000. A neat bait-and-switch for the $4bn in tax breaks it got. Wisconsin narrowly voted for Trump. By the time the next election comes around, will voters feel the same? Dominic Sunnebo, Global Director for Kantar Worldpanel ComTech comments: “The European smartphone market remains highly competitive. Despite recent negative headlines for the Chinese manufacturers, there’s no evidence that these issues have affected sales as Huawei, Honor and Xiaomi continue their concerted push into western Europe. I think LG and Sony aren’t going to compete in this field much longer. There simply isn’t any profit in it for them. It’s an article series, she’s already done Amazon and Facebook, she’ll be doing Microsoft next, then Apple.